Throughout history, music has been used as diving force by liberation movements. It is used for propaganda, to boost morale and inspire and motivate the masses and, ultimately, to celebrate social change. It stands to reason that much of the music which has fuelled freedom struggles attains considerable popularity. 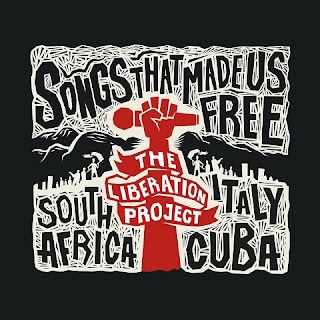 For this reason Songs That Made Us Free, the offspring of The Liberation Project, is an important and most welcome compilation. 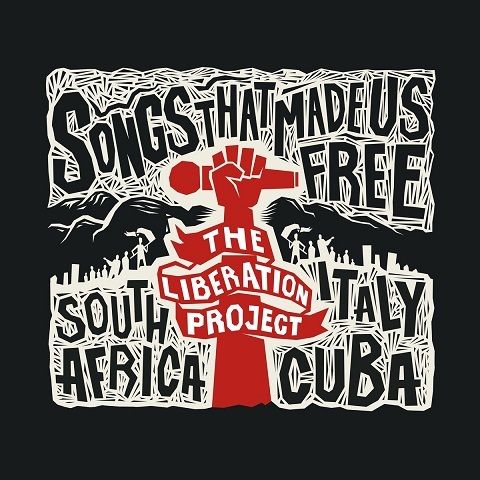 It features mostly protest music from resistance movements South Africa, Cuba and Italy but touches on freedom conflicts elsewhere in the world. It is made up both of traditional songs, and a few newly-penned tracks which were inspired by the subject matter. The project was a huge undertaking. Recorded over 18 months it includes three CD’s with 37 tracks and features in all 142 musicians from 18 countries and involved 17 different recording studios around the world. The project was the brainchild of percussionist extraordinaire Dan Chiorboli. Chiorboli, who is Italian born, grew up in Durban and experienced the inequities of apartheid first-hand. He drew on these experiences as well as his Italian roots and his love for the Latin American rhythms of Cuba to realise his concept of a liberation music compilation. His aim was to create an attitude of introspection and to bring hope to all who hear the music. To assist him in producing the triple album, he called on his long-term friend and collaborator, one of South Africa’s best-ever singer-songwriters, Neil Solomon, and British producer and guitarist for the group Roxy Music, Phil Manzanera. All three have a major creative impact on the project. Not only do they produce, but also perform on many of the tracks and write much of the new material. Subject matter aside, the most important fact is that musically it is a great triple album. I found it to be interesting, varied, unique and very listenable. It can be enjoyed while concentrating on the music and absorbing the message inherent in the lyrics, but it also has the musical quality to work as background music while you get on with other tasks. It is beautifully produced and engineered with big, bold and rich sounds and features a variety of styles of music. This is quite an achievement considering that the tracks were collated in Johannesburg and then sent around the world for overdubs. Much of the success must be down to the extraordinary list of artists, both local and from overseas, who contributed to the project. Far too many to mention here, but all leading and inspirational musicians. Each of the three CD’s has a different title. CD 1 called Celebration is just that with mostly an up-beat and celebratory approach. CD 2, Introspection, is quieter with beautiful poignant ballads, while CD 3, Inspiration features mostly Latin American rhythms. Chiorboli and his cohorts, Solomon and Manzanera, set out to create music which would uplift, entertain and move listeners emotionally. I think they have succeeded admirably. Songs That Made Us Free from the Liberation Project is not only an important historical record, but it is also a highly satisfying musical experience. A triple CD pack which is well worth owning.